On Friday, Nov. 4, award-winning West Virginia film maker Bill Richardson premieres his latest work at the Capitol Theater on Summers Street in Charleston. 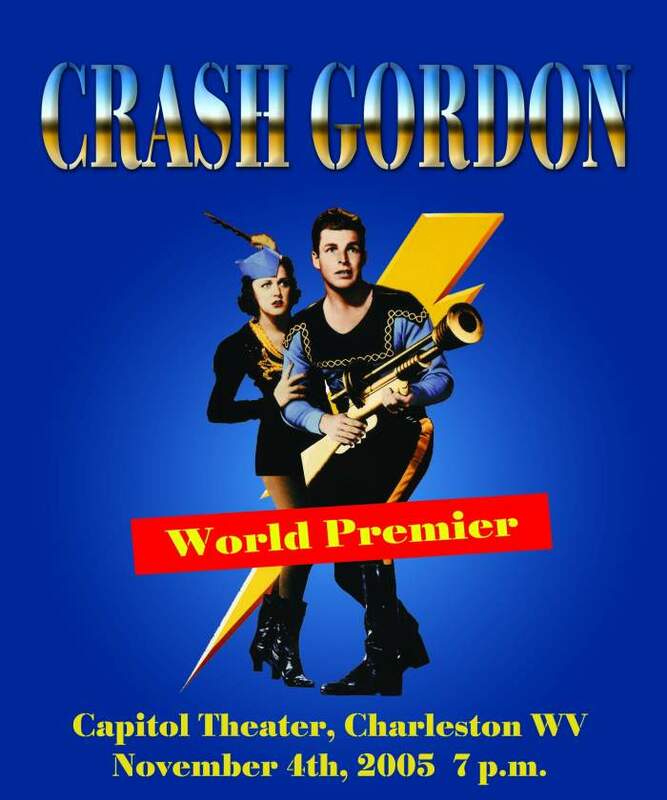 The film spoof, Crash Gordon, is a reworking of an old Flash Gordon movie serial, with a new soundtrack done in the style of Woody Allen’s What’s Up Tiger Lily and The Firesign Theater’s J-Men Forever. I”m psyched to see this, since I’m a huge fan of this type of humor. A great deal of work has gone into this production. With a voice cast of established actors and a new score performed by the Moscow International Symphony and the Bulgarian Symphony Orchestra, Crash Gordon promises to be one high-class example of low brow humor. The plot follows space pioneers Crash Gordon, Dull Ardent and Dr. Jagov as they try to stop the evil Emperor Bing from unleashing a plague of killer flatulence on the Earth. To succeed they must overcome silly robots, odd aliens, the minions of Emperor Bing and their own ineptitude. After the premiere, there will be a question and answer session with the film maker. I’ll be posting more about Crash Gordon as the premiere approaches.